"It’s like the ’60s muscle car heyday all over again, but taken to a whole new level of insanity." The team at Dodge have certainly earned themselves a crisp beer, following the successful launch of what might just be the most eagerly anticipated production car in modern times. 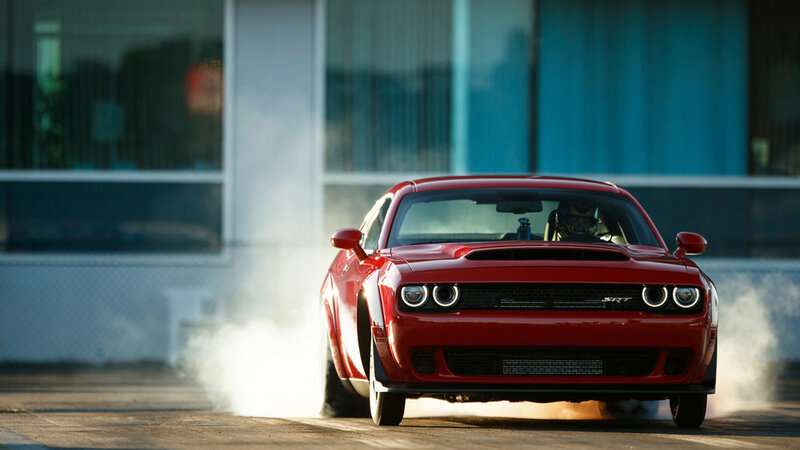 The 2018 Dodge Challenger SRT Demon promised a lot without saying much, and with a tantalizing online campaign that fed the punters just enough to get a taste but nowhere near enough to really sink their teeth into, there was a lot of hype to live up to. 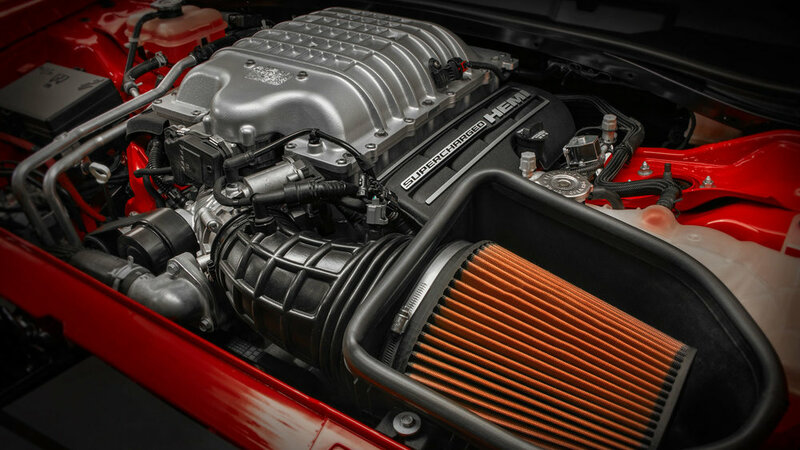 The familiar 6.2-litre Hemi has an uprated bottom end to deal with a whole lotta boost, thanks to a 2.7-litre supercharger pumping enormous volumes of air at 14.5psi of boost pressure. This madness is good for 840hp and 770lb·ft, and an incredible quarter-mile time of 9.65s at 140mph. And before you think to mention COPO Camaros or Cobra Jet Mustangs, bear in mind that the Demon has been designed and engineered from the get go to be 100 per cent street legal. The Demon is, in fact, NHRA certified as the quickest production car ever. So, what is the magic behind the madness? Well, for starters, the Demon is the only production car to come factory-equipped with a transbrake. 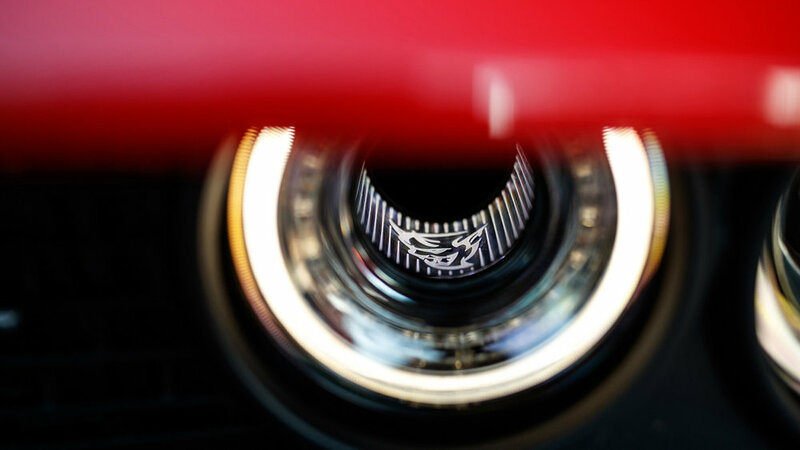 Engaged on the drag strip start line, Dodge’s TransBrake system locks the eight-speed automatic transmission’s output shaft, allowing for an immediate transfer of torque through to the tyres as soon as it is disengaged. The logic here is that the paddle-operated TransBrake system is far more conducive to quicker reaction times than a conventional two-footed approach. 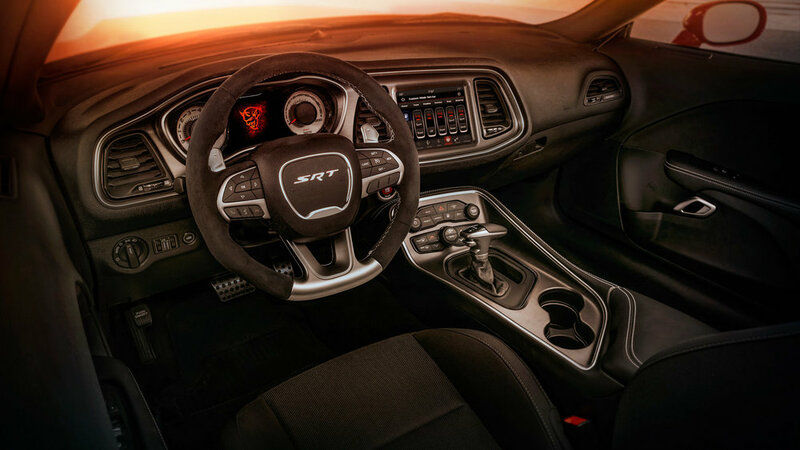 This is utilized in conjunction with what Dodge are calling their Torque Reserve system — similar to modern launch control systems, and an evolution of the simple two-step ignition. The supercharger bypass valve is closed, allowing boost pressure to build, while fuelling and ignition timing is altered to hold revs at a specific point before launch. 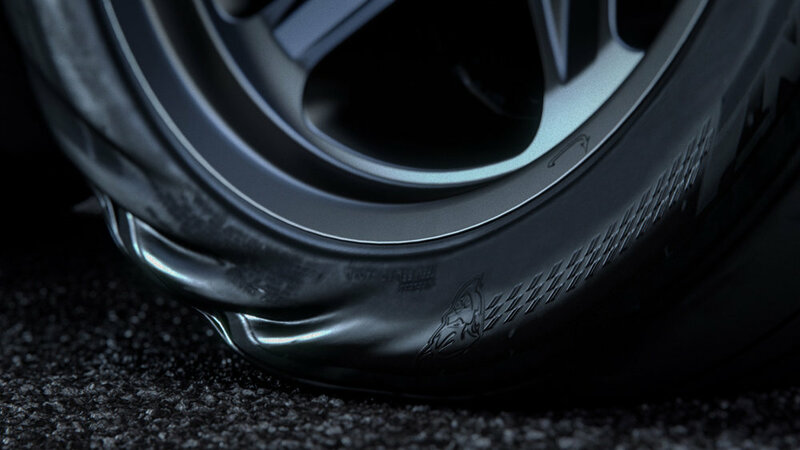 The 315/40R18 Nitto drag radials have been specifically designed for the Demon, and the cars come with a pair of skinny front wheels and M&H front-runner tyres to be swapped out for drag strip duty. With such immense power and torque coupled with sticky rubber, the driveline has been beefed up appropriately. An improved driveshaft takes care of a known Challenger Hellcat weak point, while the diff has also been upgraded to handle more abuse. And, despite Dodge electing to retain the Challenger’s independent rear suspension (IRS), the 41-spline half-shafts are as tough as they get from factory, and clearly get the job done. 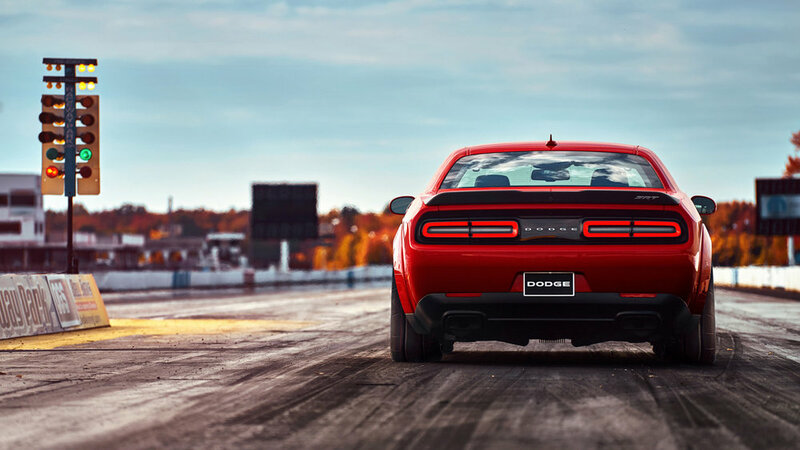 The lack of a live rear axle is proof of Dodge’s drive to balance both road and track performance, and the IRS will no doubt be conducive towards more refined road manners. 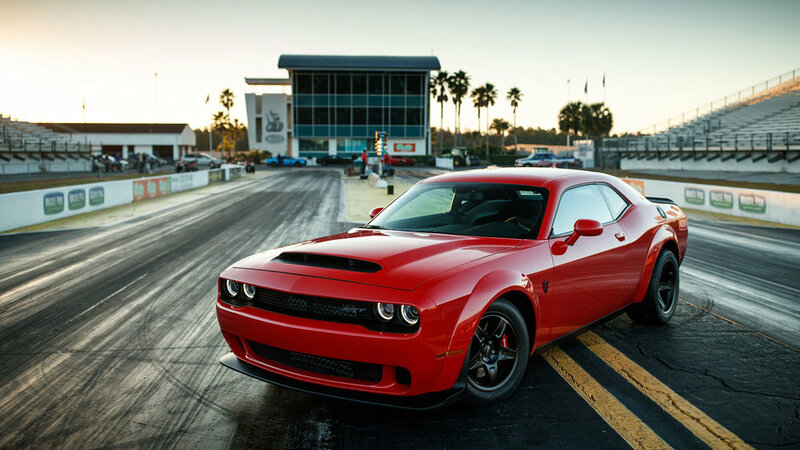 However, Dodge has worked tirelessly on ensuring the set-up is as effective as as possible. The suspension has been tuned to maximize weight transfer to the rear wheels at launch, in pursuit of enhanced traction, while the ‘Launch Assist’ function uses wheel-speed sensors to monitor for signs of wheel hop. If detected, the electronic control module momentarily reduces engine torque to eliminate wheel hop before it happens, providing a cleaner launch and substantially reduced risk of driveline breakage. Also taking into consideration the Demon’s status as street legal, concessions have been made towards actual day-to-day usability. Granted, you’d have to be a special kind of mental to do it, but it can be done. Dodge’s new SRT Power Chiller system re-routes the air-conditioning refrigerant as a coolant for a liquid-to-air intercooler, and the After-Run Chiller keeps the electric thermo fan and the low-temperature circuit coolant pump running after the engine has been shut off to ensure gradual, adequate cooling. However, it’s not all speed and danger. 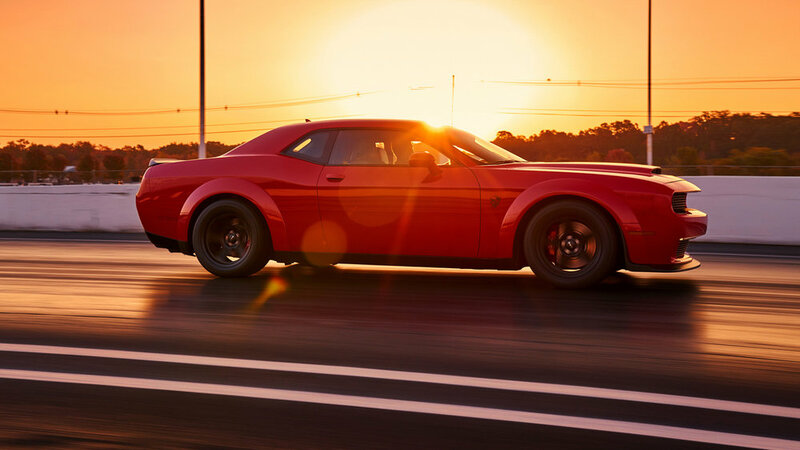 Intended to be street drivable from the start, the Demon comes with two keys from the factory, just like the ‘regular’ Hellcat. The black key unlocks the lower 500hp tune, while the red key pumps it up to 808hp, and the full 840hp is just a tank of 100-octane away.